We focus on bringing you the right materials to help bring your vision to life. 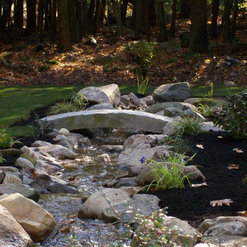 We ensure all of our products have that distinctive look, color and texture you seek, by either working directly with you or referring you to your local Stone Farm-approved dealer. What a great company to work with from the top to bottom. They have never kept us waiting for a response or design help. Their produce knowledge is second to none and we are extremely excited to continue working with the Stone Farm team for future projects. 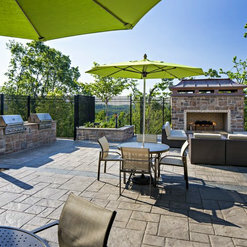 We at Dean's highly recommend this company for any Outdoor/Indoor masonry projects, outdoor kitchen projects, Grills and accessories and everything else they offer! I am going to keep this short and sweet. Fantastic company and great resource! Katie and the team are the best. 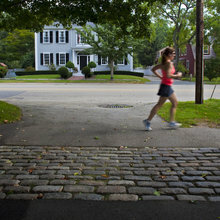 We worked with Gavin on a project in Newburyport and found Stone Farm to be very responsive and knowledgable regarding the stone tile and landscape stone that we were using. 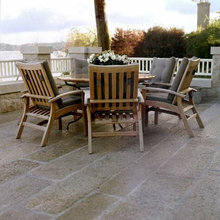 The reclaimed stone materials that they supply are top quality and we highly recommend them. 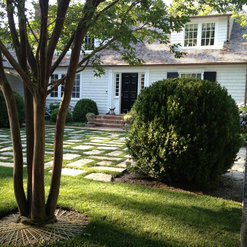 I have know and worked with Stone Farm for 8 years. 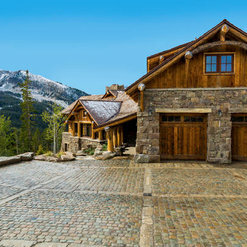 Their service and access to unique stone products always impresses me. 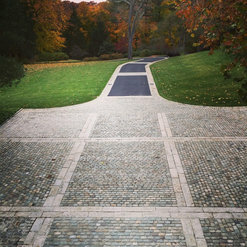 As a Landscape Architect, I love the products Gavin can provide. 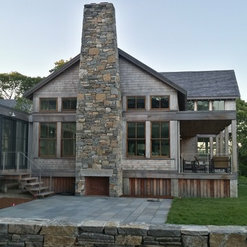 I have used Stone Farm for several projects using the reclaimed granite curbing, and could not be happier with the end result. The weathered apperance of the curbing instantly adds a character, or ' wabi sabi', that you can't find in any other granite product. 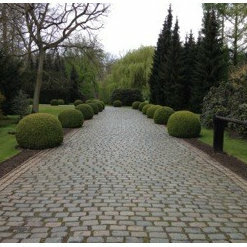 Gavin is a pleasure to work with and is always willing to help source reclaimed granite for special projects. 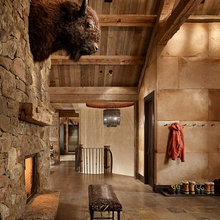 Stone Farm Living has assisted my firm several times in specifying and locating stone for specific applications. They understand the creative process and always have good recommendations for locally sourced and reclaimed materials that help bring the design to life. 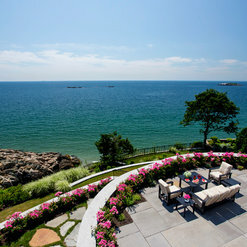 We have the privilege of installing hardscapes along our beautiful Seacoast. 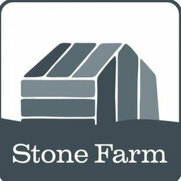 One of the most critical decisions is where we get our materials, and Stone Farm always delivers. They are responsive and provide unique, beautiful materials for our projects- including antique granite posts, huge slabs and reclaimed cobbles. The best part- they source from local sites here in New England. 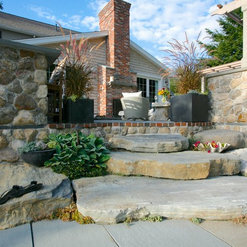 Gavin works hard to acquire the perfect stone to “bring a project to life”. Commented: Studio wallHello! 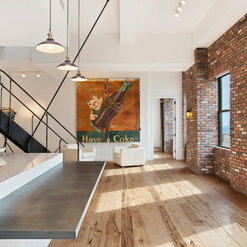 The cost of brick veneer for a wall this size would be approximately $1900. Should you have additional questions or like to place an order, please contact us. 203-270-2900. 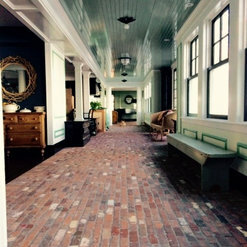 Commented: What type of wood is the flooring?Yes...its officially old growth Hickory flooring. Commented: what color is the wall with the clock and who makes itHello--I'm in the process of investigating the answer to your question. I will be back in touch soon! Thanks for your patience. 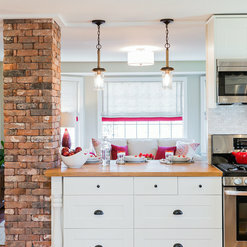 Commented: What is used as the counter top on the island/counter?Hello--as the supplier of the reclaimed thin brick flooring only, I'm in the process of trying to find out the answer to your questions. Thanks for your patience...I will be in touch soon.